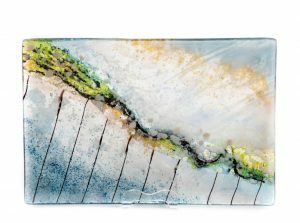 Each Spring, Muskoka Arts and Crafts mounts an open exhibition of recent art made by its members. This year over 100 artists and craftspeople submitted up to 3 pieces for display, and two judges (from outside Muskoka) spent a full day selecting outstanding work for recognition. 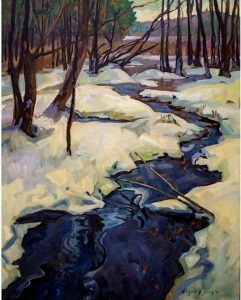 We are pleased to announce that both of the “Artists of the Limberlost” who participated this year were recognized with Awards of Excellence by the judges. Both Elizabeth and Susan are accomplished artists who have worked in their respective media for decades, and the recognition is well-earned. Meet them when you visit the tour, August 18 & 19, and see more of their work.